Ok, someone stop me from making more cookies 🙂 But wait, these only have 4 ingredients so let me share these with before I’m banned. I also used a sugar free cake mix that I had on hand, worked out great, however any cake mix will do. 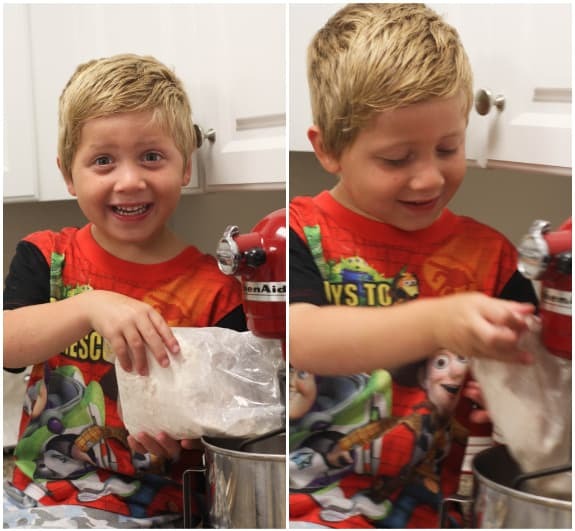 Hope you enjoy this easy, fun, get your kids in the kitchen cookie recipe. Here are my little stinkers getting right to work. I can’t tell you how happy I was to see these turn out! Yipee! 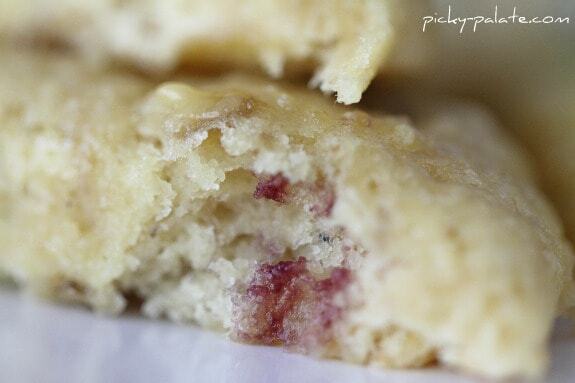 Honeyed Banana Berry Cake Cookies….4 Ingredients! 1. Preheat oven to 350 degrees F. Place all ingredients into stand mixer and beat until just combined. Will seem sticky, no worries. 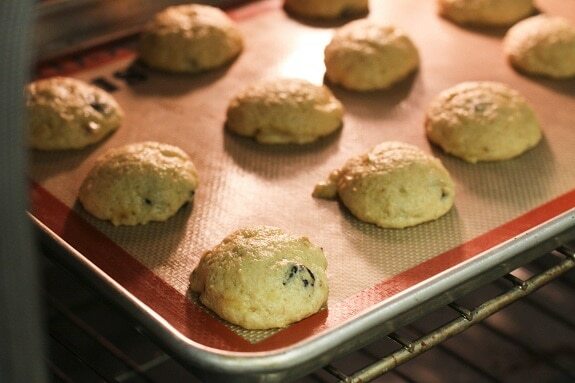 Use a cookie scoop and scoop dough onto a silpat or parchment lined baking sheet. Bake for 11-15 minutes or until cooked through. Let cool for 10 minutes before transferring to a cooling rack. Have a great weekend! See you soon! 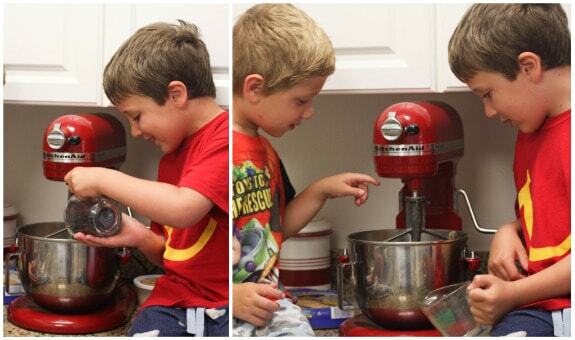 Thanks so much I am always looking for a easy recipe for cookies to make with the kids. Can’t wait to give it a try. Your boys are just TOO cute! The look wonderful! I love your pictures! 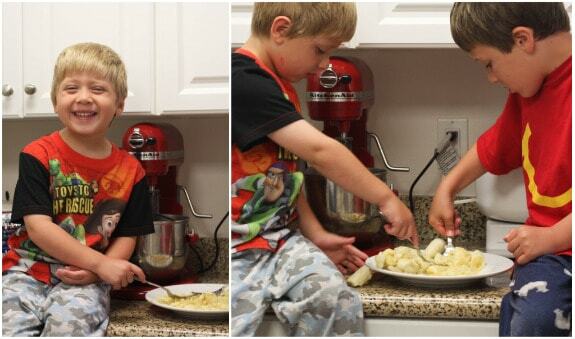 I’ve been getting my kids cooking with me a bit more. I’m surprised how much my 11 year old boy is liking it. He’s always asking to help now. I love how simple your recipes are! I so want to try these, thanks! 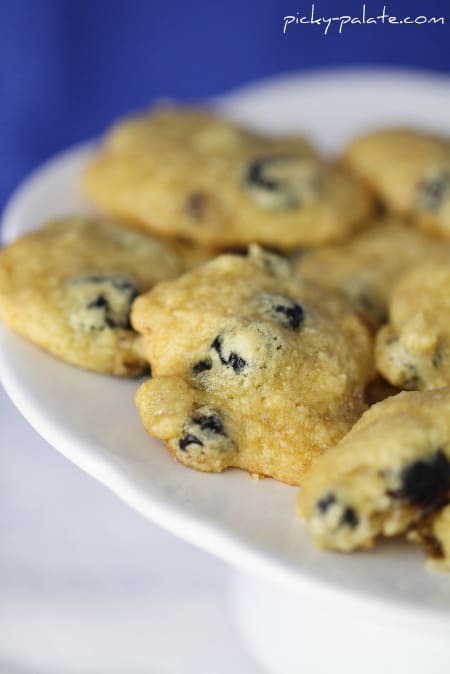 I mean cake AND cookies are in the recipe name – how can these not be completely delicious! And creamed honey!? Perfect! WOW! 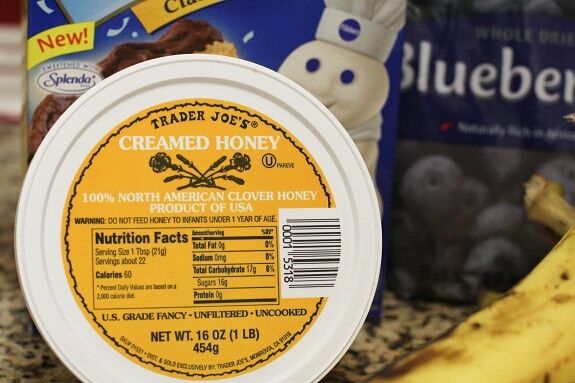 Love the idea of adding in creamed honey. These sound delicious!! Also, your little guys are too cute!! These look great, and your kids are adorable. So fun! Hope to meet you one day soon! 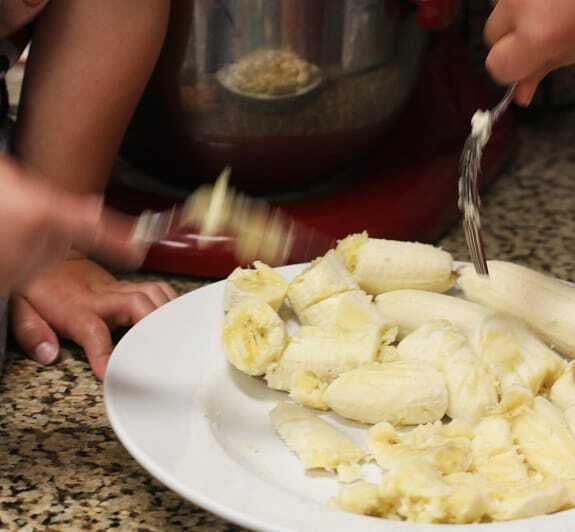 I just made cookies with bananas last night – I don’t miss the butter at all! I love recipes like this! Your boys are too cute! these sound amazing, but you had me at 4 ingredients. the easier the better! Incredible! I love it when experimental recipes work out! Ooooh these sound so unique and delicious!! And your boys are absolutely adorable! Omg! I have to make these! They look sooooo delicious. Unfortunately, the only ingredient I have right now is the banana! I’ll be making a trip to the store later! So easy and so quick! Looks awesome.. your boys look happy too! If you’re going to be making cookies that look this delicious, sorry, I wont be able to stop you. Question: What are good substitutes for butter in baking? I know I’ve seen applesauce and/or yogurt used before but not sure how much to put in. For example, if a recipe calls for 2 sticks of butter, how much applesauce/yogurt would you use? Super creative idea. These will definitely be in my arsenal for the next time someone shows up unannounced etc. And your boys are darling!! I love cake-like cookies! Thanks for another creative, mouth-watering recipe! Excellent, easy, and delicious! Love it! 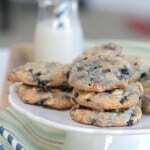 OH boy, do these cookies sound good and I know they would be a big hit at my house! The boys are adorable! and I love your cake, it looks so yummy! 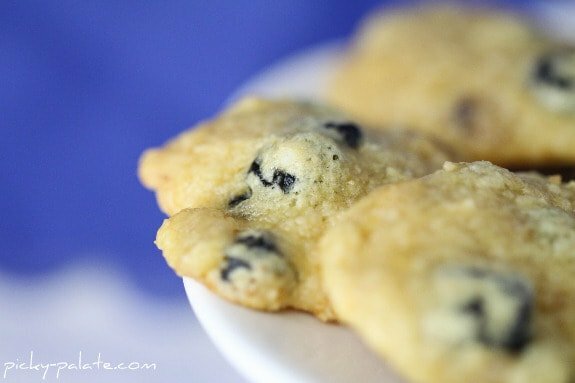 These look so fun; I love cake cookies! Yum! These look so good! 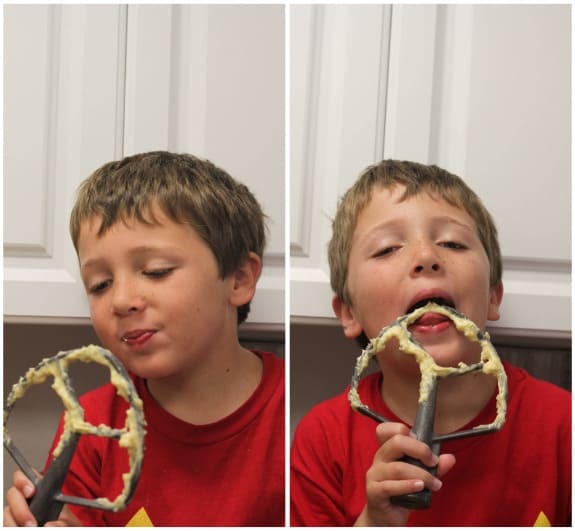 I’m just like the kids with licking the mixer, the bowl, and all the utensils! 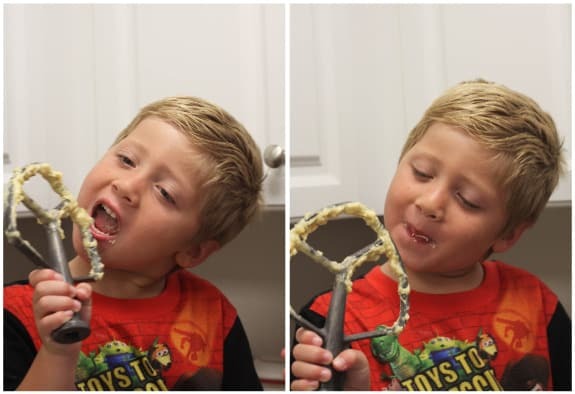 Um, NO do not stop making cookies! I need to live vicariously through your cookies. No really. Keeps me sane. Cookies…yum. These cookies look absolutely perfect! I love how chunky they look. And the flavor combo? Awesome! What a wonderful recipe!!! Can’t wait to try them. Such cute boys! I have an abundance!! of ripe bananas and today i got creative and made a vegan GF muffin recipe with them that I’m posting in the morning. BOOKMARKED for this weekend to make! Thanks for sharing. They look absolutely delicious! I love soft cookies. What a great recipe! Can’t wait to try it. Get out of here! Only 4 ingredients?? And they look so delicious! Made these last night…so YUMMY! Mine didn’t go flat though…they are like big muffin tops, LOL! Hi I just wanted to say thank you for this easy recipe. Now I know what to do when I have a lot of bananas. These were great! I used fresh blueberries since I had a ton and they were perfect. Thanks for a great, super easy recipe. Threw a bunch in my son’s lunch for his first day back at school. You are the cookie queen! 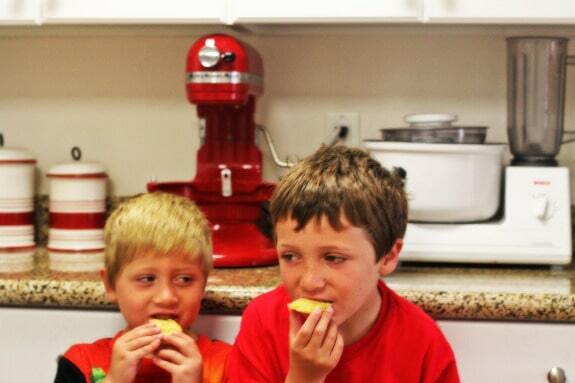 It looks as though your boys are having a ball helping your bake (and eat). i made these last night! they are absolutely delish! 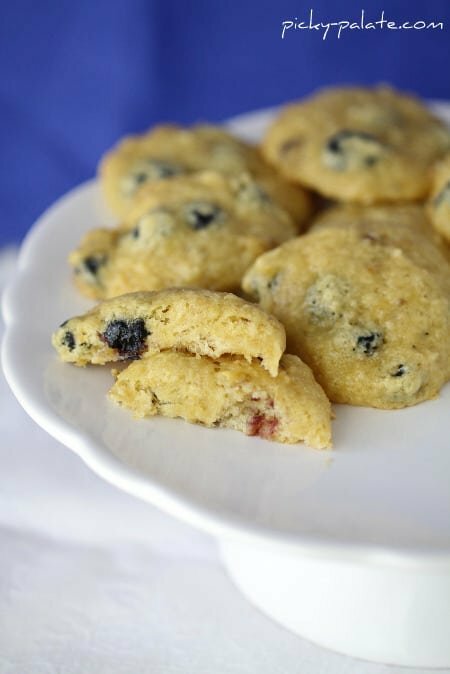 I used fresh blueberries and real honey and the burst of berry flavor was just the perfect touch! Thanks for such a fun recipe!! Loved these! We added chocolate chips to half the batch (because my husband thinks that dessert isn’t dessert without chocolate)! They were delicious both ways! I just made these this afternoon because they sound awesome! I must have done something wrong because the batter did not work for cookies but they made great muffins. OK, sorry if this is a silly question, but that’s all the ingredients? 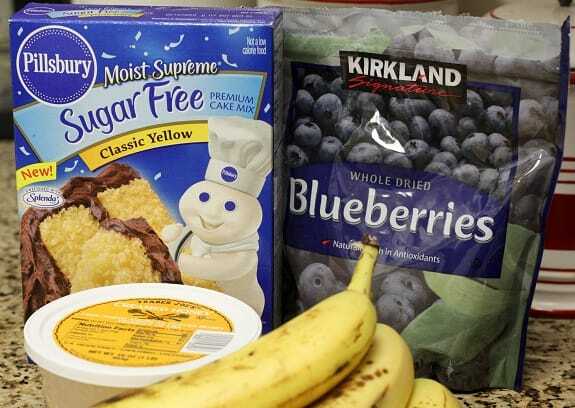 Or do I have to follow the recipe to make the cake batter and add the honey and berries? Please help, I am a novice baker!